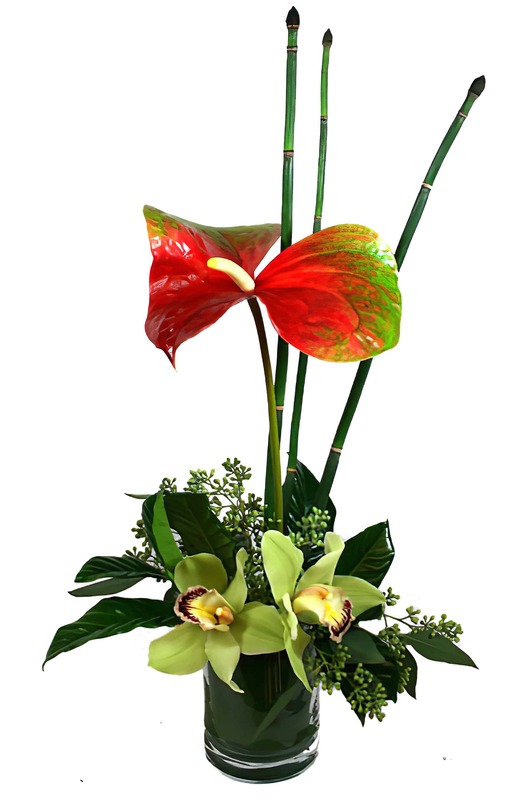 This gorgeous Wax Leaf Flower is the crown of this beautiful floral arrangement that also includes Cymbidium Orchids, Bamboo and various greens. If you are looking to make a statement, look no further! A gift that will surely stand tall above the rest !